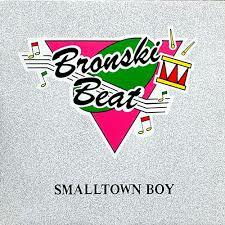 I’m very glad you have written a post about Mr Sommerville and Bronski Beat. I often saw Jimmy at some of the nightclubs in London in the 80’s and he was a nice guy. That singing voice of his was amazing and you could guarantee that when his songs were played, the dance floor would be packed. Thanks for a great post, Sean. I’ll check that new post out, Sean. Thank you so much for asking if I’d like to chat with you about music form 1984. I’d be very honoured to. I should add however, that in 1984 I was only a frequent visitor to London. I didn’t actually move full time to London until 1986, but before then I spent many long weekends there (including 1984).